Error dxgmms2.sys usually interrupts the user while playing a game and just after the blue screen appears, the game is crashed. But like every other error, dxgmms2.sys also has its solution, let’s have a look at those. The hardware acceleration feature is widely used for maximizing performance. But it may cause some error, too. dxgmms2.sys blue screen error is the one. So we can disable this feature to try to solve the blue screen error. Press the Windows + R key simultaneously on your keyboard to launch the Run box. Go to HKEY_CURRENT_USER > Software > Microsoft > Avalon.Graphics. 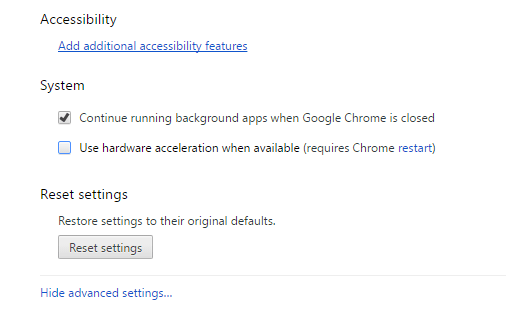 Find DisableHWAcceleration on the right pane. 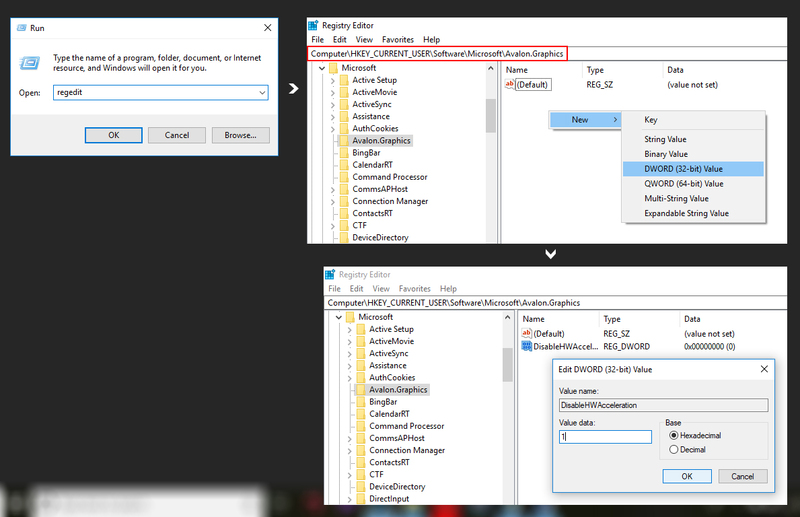 Double-click on DisableHWAcceleration and set its value to 1 to disable hardware acceleration on your Windows 10. Click OK to save the setting. 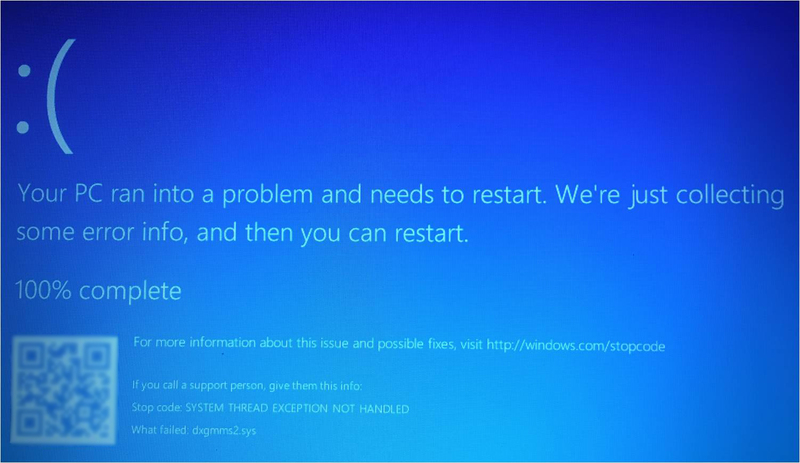 Reboot your Windows 10 to see if the blue screen shows again. This dxgmms2.sys blue screen error could be probably caused by an old, corrupted graphics card driver on your Windows 10. You can probably solve it by updating your graphics card driver. 1) Press the Windows + X key simultaneously on your keyboard to launch quick access menu. Open your current web browser. Scroll all the way down and click on Show advanced settings. Enter Advanced Startup mode. To do that, just open the Start Menu, click the Power button, hold Shift on your keyboard and click the Restart option. 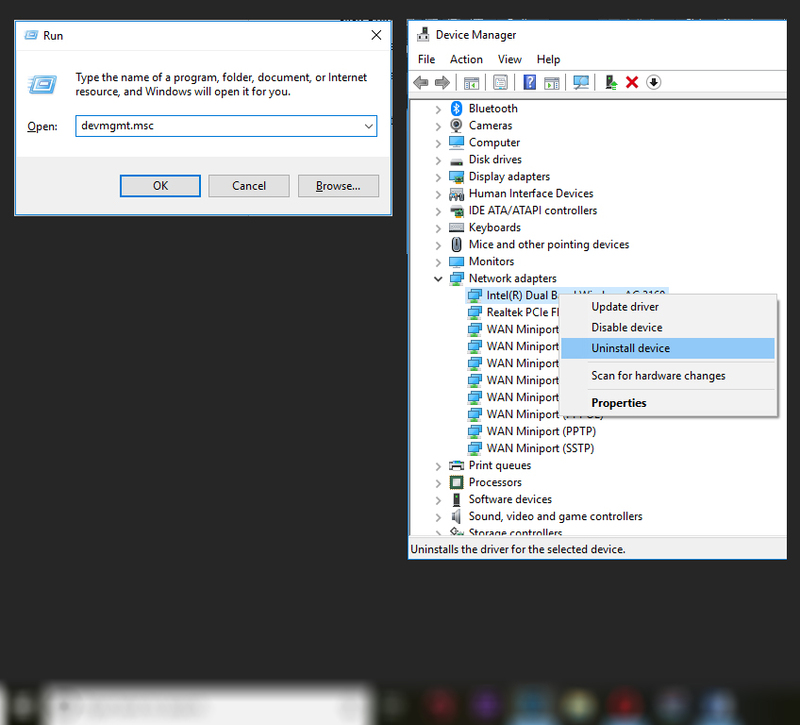 Alternatively, you can restart your computer few times while Windows 10 loads. List of options will appear. Select Troubleshoot > Advanced options. Now choose Command Prompt. If asked to enter your account password, be sure to do so. Close Command Prompt and try to start Windows 10 again. 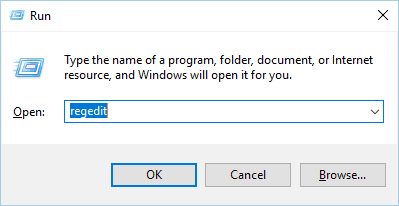 We have to mention that you can also access Command Prompt by using Windows 10 installation media. 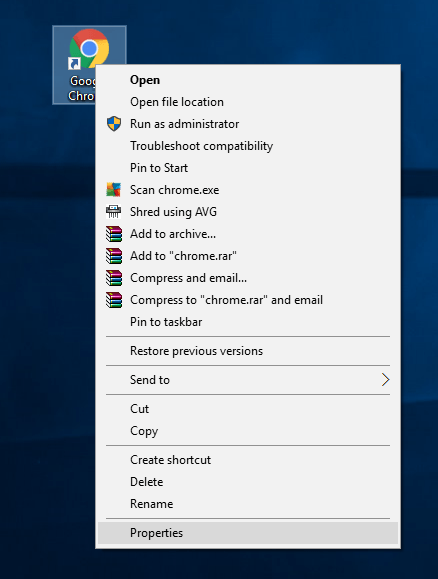 Simply boot from Windows 10 media and choose Repair your computer option. After deleting the problematic file, Windows 10 should download it automatically from the Internet thus fixing your problem. 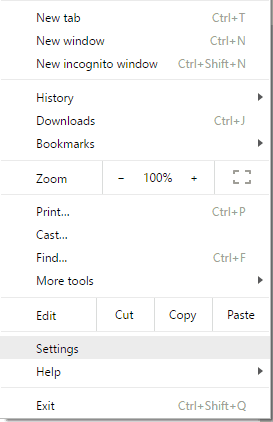 Locate Chrome shortcut, right-click it and choose Properties from the menu. Go to the Shortcut tab and locate Target field. In Target field add –disable-gpu at the end. After doing that, start the Chrome using the same shortcut. 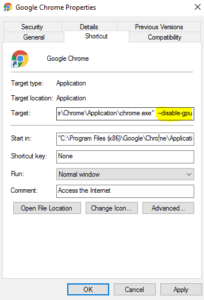 Although this solution will fix dxgmms.sys error, we have to mention that you need to use this shortcut every time you want to start Chrome. 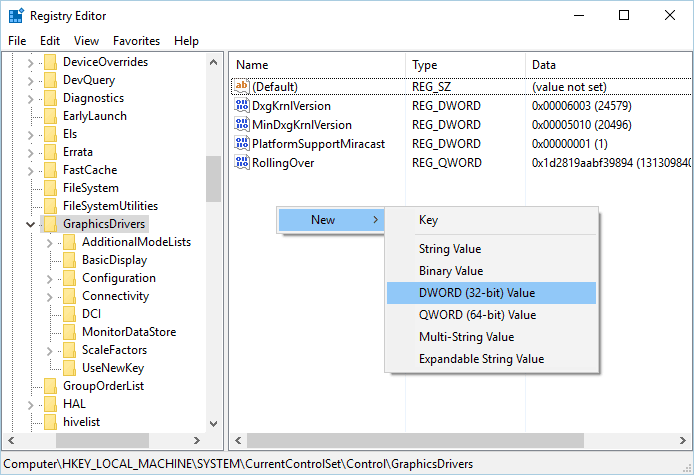 When Registry Editor opens, navigate to HKEY_LOCAL_MACHINE\SYSTEM\CurrentControlSet\Control\GraphicsDrivers in the left pane. In the right pane, look for TdrDelay value. If this value isn’t available, you need to create it. Right-click the empty space in the right pane and choose New > DWORD (32-bit). Enter TdrDelay as the name of the new value. Double click TdrDelay and set Base as Decimal and Value data to 10. Click OK to save changes. 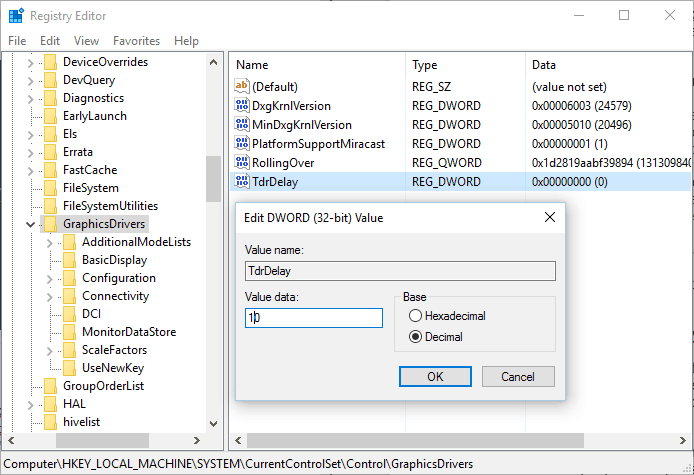 By changing the TdrDelay value, your graphics card will reset only if the driver doesn’t respond after 10 seconds. By making these changes you will prevent dxgmms.sys error from appearing.